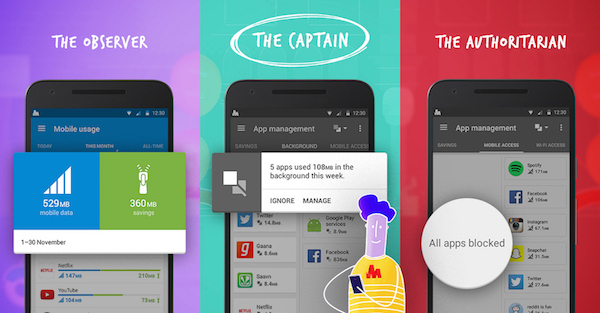 Help us test the new Opera browser for Android! 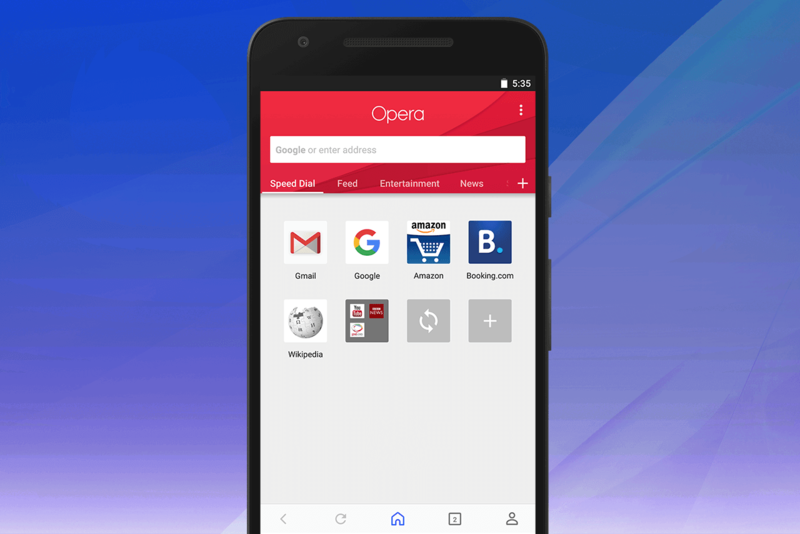 Today, we’re starting to roll out an upgrade of Opera for Android to our beta channel. We’re doing this gradually, so it might take a little while before you see it on your device. The first thing you’ll notice is the UI overhaul: we’ve rebuilt the main browser interface completely, while the settings section has gotten a lick of paint as well. The red O in the bottom right corner is gone, as is the plus sign next to the address bar, and you’ll find its combined options under the three-dots menu in the top-right corner. 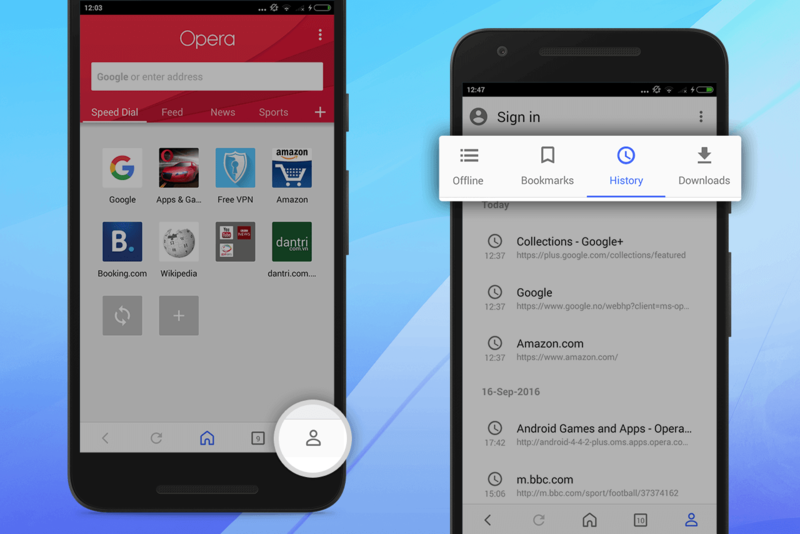 Also new is what we call a “user center”, which you can reach by tapping on the person icon in the bottom right corner: you’ll find there sign-in options, a reading list (which is an incarnation of our “saved pages” functionality), bookmarks, history and downloads. We’ve also given the “share” function a more central place in the UI, so that it’s easier for you to share favorite pages to Twitter, WhatsApp or other applications. In the US and Indonesia, the start page looks a little different: Speed Dial is still there as a panel on the left, but in the center, there is a news feed powered by a totally overhauled Discover engine. It allows you to read the latest news right when you start the browser, and you can easily dive in and start exploring. The news feed has various customization and subscription options — you can connect your Twitter account, or pick your favorite channels, for instance — and there is even a new reader mode which offers a really clean reading experience. You can also configure in Settings if you want to use the news feed or rather stick to Speed Dial as your default start page. We expect this feature to be rolled out to more countries and languages in the near future as well, so stay tuned for more news. This release does not come with a Chromium upgrade, but it’s something we’ll be working on in the near future: that’s why we’re calling it version 37.1, in case you’re wondering. We did find the time though to do a number of bug fixes to the “add to home screen” feature (progressive web apps): view mode media queries are now properly supported, and the notification area picks up the theme color from the manifest. Additionally, intent:// URLs, which can be used to jump from webpages to native apps, are now supported as well. Let us know what you think about the release in the comments below or discuss more in the forums. 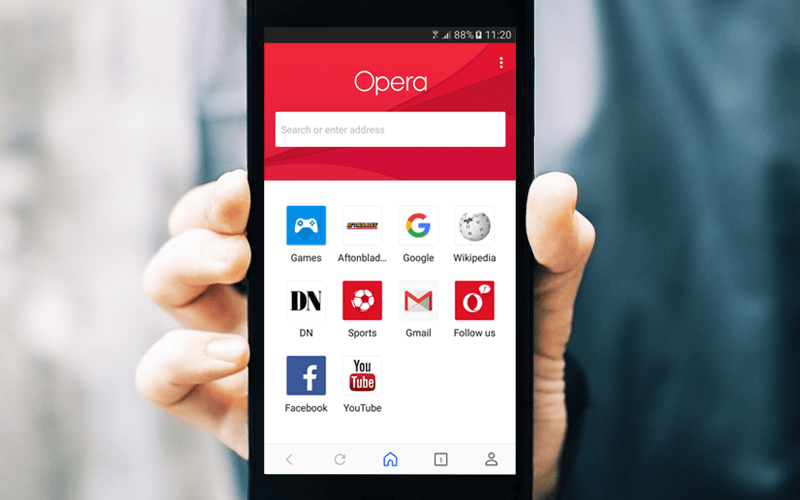 Previous article: Want to test a new pilot browser for iOS?Next article: What are the differences between Opera Max and Opera VPN?